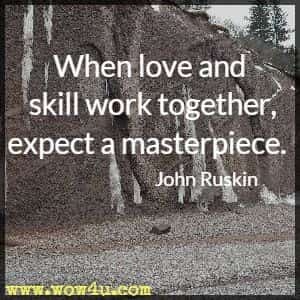 Be inspired by these John Ruskin quotes full of words of wisdom. He was born in London, England. Educated at the University of Oxford, his first interest was poetry, and he later became an author and artist. He was well known for his work as art critic and social critic. 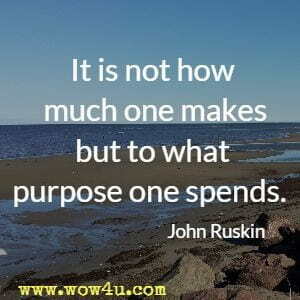 John Ruskin's words are full of inspiration and wisdom. Make your young hearers resolve to be honest in their work in this life - Heaven will take care of them for the other. The power, whether of painter or poet, to describe rightly what he calls an ideal thing, depends upon its being to him not an ideal but a real thing. No man ever did or ever will work well, but either from actual sight, or sight of faith. The majesty of nature depends upon the force of the human spirit. That which is required in order to the attainment of accurate conclusions respecting the essence of the Beautiful is nothing more than earnest, loving, and unselfish attention to our impressions of it. 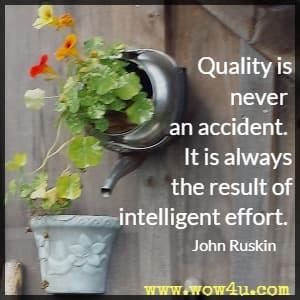 Imperfection is in some sort essential to all that we know in life. But really great men have a curious feeling that the greatness is not of them, but through them.